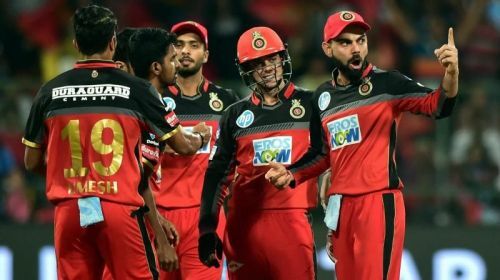 Royal Challengers Bangalore are probably one of the unluckiest teams in the IPL. In every season, they have assembled a strong team on paper but somehow fallen short at the end. They came close to winning the title thrice, but lost in the finals. That is a trend they would be looking to put an end to this season. In the IPL auctions, they added some talented players such as Shivam Dube, Shimron Hetmyer and a few more youngsters. Bangalore have always been blessed with some great hitters like Chris Gayle in the past and Virat Kohli and AB de Villiers right now. The only weakness they have had every season has been their bowing. If they can fix that this season they could be one of the dark horses for the IPL trophy. Kohli will walk out this season as a matured leader, having led the national side in various challenging conditions in the last one year. His leadership should help them go all the way in the tournament. Moreover, one cannot simply forget about AB de Villiers who is just a few runs short of the 4000-run mark. They have also have another aggressive batsman from the Windies in their ranks. If Hetmyer can get them off to flying starts at the top, it would set the tone of their innings. The Karnataka based franchise will play their opening game against Chennai Super Kings this Sunday; a side they have failed to beat in their last six attempts. They would be looking to get their campaign underway with a win which would give them confidence going forward. Virat Kohli (C), Himmat Singh, A Nath, Y Chahal, N Coulter-Nile, H Klaasen (wk), P Barman, Mohammed Siraj, D Padikkal, Milind Kumar, Tim Southee, Shimron Hetmyer, Shivam Dube, Umesh Yadav, Gurkeerat Singh, Navdeep Saini, AB de Villiers, Washington Sundar, Kulwant Khejroliya, Parthiv Patel (wk), Pawan Negi, Moeen Ali, Colin De Grandhomme, Marcus Stoinis.